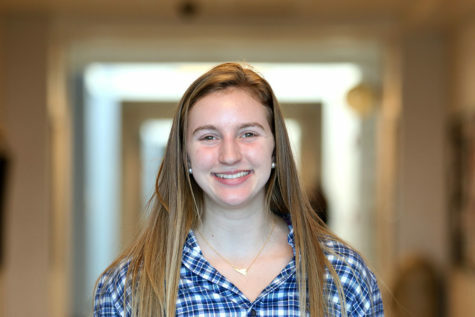 Sophie Sallah is a sophomore at Harrisonburg High School and a feature editor for the Newsstreak. This is her second year on staff. Sophie plays volleyball in the fall and soccer in the spring. In her free time, Sophie enjoys spending time with friends, family and her dog, Petey. She likes to be outdoors, especially while hiking or mountain biking. Sophie loves learning Spanish at school and uses vacations to practice her speaking skills. Right now, she enjoys traveling absolutely anywhere she can go, but she would really like to visit Greece. Sophie loves clothes, stickers, coconut water and random Netflix shows.